When purchasing admission tickets and Express Passes for Halloween Horror Nights at Universal Studios Florida, there are many factors to consider – and we’re going to walk through all of the different options to make sure you get the best deal available! We strongly recommend that you read everything on this page, from top to bottom, before you make any final purchasing decisions. But before we get started, there’s a crucially-important point that you need to understand first: Horror Nights is a separately-ticketed event (sometimes referred to as a hard-ticket event), which means, one way or another, that you have to pay for separate admission to get in. There are many discounts, season passes, special tours, etc., which we will get into – but, at the outset, please know that the event is not included with regular admission to Universal’s theme parks, like some of the resort’s other popular annual events are, such as Mardi Gras and the holiday festivities. It’s also important to note that single-night HHN tickets are date-specific – when you purchase one, you will need to select the date of your visit. Be sure to double-check the calendar! It isn’t easy to change the date of a single-night pass after you’ve bought it – if Universal allows you to change it at all, that is. Once you’ve read through our complete overview of Horror Nights’s tickets and tours, use the navigation links at the top or bottom of the page to learn so, so much more. Skip to: Single-night tickets | Express Passes | Multi-night tickets | Add-on experiences | Tours | Hotel packages | Discounts | What will sell out? NOTE: 2019 pricing hasn’t been released yet. Until it is, please continue to enjoy the info from last year, just to whet your appetite. Unlike previous years, in which Universal divided up its Halloween Horror Nights tickets between stand-alone and “add-on” varieties (namely, whether you got HHN admission by itself or in conjunction with daytime entry), the company seems to be streamlining the whole process for this year: simply pick your date, grab your pass, and off you go. Finally, here’s a pro tip we can’t emphasize enough: always buy your passes online instead of at the front gate of Universal Studios Florida. Not only will this save you time, it’ll also save you a great deal of money – Universal charges a flat rate of $114.99 at the ticket booth, no matter what day of the week it is. This means you can save anywhere from $27 (for Saturday admission) to $52 (almost every other day) if you visit the Horror Nights website beforehand. Guests who do not wish to pre-select the date they will attend Halloween Horror Nights will be interested in this option. Flex Tickets actually come in two different versions, with two different price points: the first excludes Saturdays and costs $81.99, plus tax (a 5% increase from last year), while the second is good for any event night and runs $88.99, plus tax. Note that based off of the pricing above, guests pre-selecting their date can save up to $26 by choosing the previous option instead of this one. You are basically paying an additional $1-26 for the convenience of not being locked into a date to attend. The buy-one-get-one-free ticket deal from 2018 is back! For only the second time in Halloween Horror Nights’s 29 years, Universal has a special BOGO deal that runs from Tuesday, February 5 through Wednesday, June 5. Even better, it’s serving up the offer in two different varieties. Just please note that you have to purchase your tickets online beforehand. Additionally, Universal allows guests – for only the second time! – to add on a RIP or Unmasking the Horror Tour to their vacation packages (for information on what these items are, please see below). The price for this bundle differs depending upon which of the hotels you elect to stay at (and, of course, whether you choose to add the extra tour[s] on), but the starting price is $145 per person, per night (for a party of four). Just like regular Universal Express Passes, Halloween Horror Nights Express Passes allow you to skip the standby queue and hop in a shorter line, thereby allowing you to experience the various haunted houses in an expedited fashion (just once per maze). 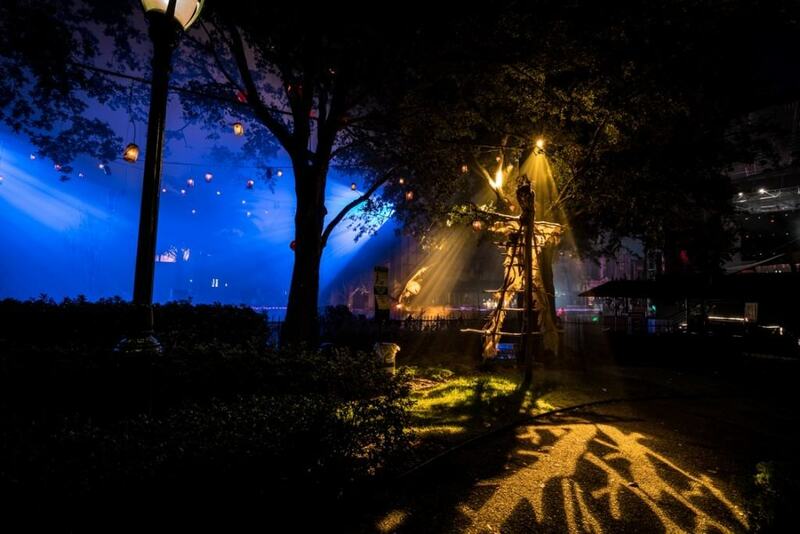 Although the regular, daytime tickets nearly always allow you to get into an attraction in only a fraction of the time, the HHN-specific passes can sometimes, on peak nights, only cut off half of the posted wait – which, yes, means you will still spend a fair amount of time standing in line. But there are two important things to keep in mind in this regard: (1) you’ll be able to get more value out of your Express Pass on less-crowded dates (though, then again, you might not need it as much to begin with), and (2) when you consider that the houses on those peak nights can get up to a three-hour wait, you’re still getting out ahead with Express access. Rounding out your HHN Express Pass decision-making, you should be aware that it also works on each of the rides that are open during the event as well as the haunts (again, just once per attraction), but – super important – it is separate from the usual, daytime front-of-line tickets, which means that your free Express access from staying at one of the on-site hotels or from your annual pass won’t be valid here. HHN Express Passes vary in price, ranging from $79.99, plus tax, per person to $149.99, plus tax, per person (a 7% increase from 2017). Unfortunately, there are no discounts for Florida residents, annual passholders, or anyone else. Whether or not you’re considering Express Passes for Halloween Horror Nights 2018, you need to read these tips. This is because Universal’s projections for certain dates change as more and more tickets are purchased, which means nights that might have seemed slower even just a few weeks ago are suddenly looking busier and busier. So, if you have your dates locked in right away at the start of the Horror Nights “pre-season,” when Universal first puts the various passes up for sale, you’d do well to buy them right away. The event’s just too, too busy. But, by definition, peak nights are busy because that’s when most guests decide to go, so, inevitably, many of you reading these words will still pick a peak night as your visiting date. Just bare in mind that the lines for the popular haunted houses get as long as three hours. If you have no choice but to go on a peak night, you absolutely must purchase Express Passes if you want to see more than three houses in a reasonable amount of time. Can’t afford Horror Nights Express? We highly recommend you go on another night. Please listen to us – we’ve been doing this for a long time. Yes, we’ve already pointed this out, but it’s worth repeating it again. It doesn’t matter if you purchase a Horror Nights vacation package, book the hotel on its own, or stroll in an hour before the event starts – your on-site hotel Express benefit does not work at Halloween Horror Nights. Consider yourself (doubly) warned. Here we go, repeating ourselves yet again, but we’re doing so because we really want to make sure your expectations are calibrated correctly. On peak nights, the popular houses often have wait times of over two or three hours – so, even with an HHN Express Pass, you may still have to wait an hour (or more). This is yet another reason to skip peak nights altogether, which we can’t stress enough! 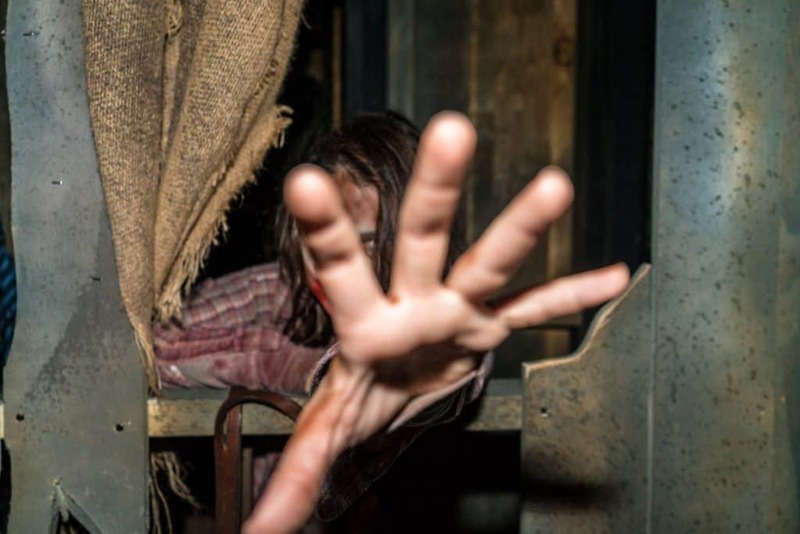 We do want to mention that the speediness of HHN Express Pass access tends to change year-to-year and house-to-house – it is very dependent upon the popularity of the maze and the team members working it. If a certain date’s Express Passes don’t sell out, Universal may offer the remainder of its inventory at a discount (usually 50% off) later on that night (typically around 10:00 or 11:00 pm). The catch here is that Horror Nights only runs until 1:00 or 2:00 am, so you’ll only be getting some three or four hours’ worth of use out of them – and if a night isn’t busy enough to move all of its Express Passes, it’s debatable whether it’s busy enough to warrant the use of Express in the first place. We just mention this here in terms of completeness. The Express Pass section above was stressful! Let’s get back to a happy vibe by talking about Rush of Fear and Frequent Fear HHN season passes, likely to be the best deal going for Halloween Horror Nights 2019. Before we jump on in, however, a brief note: please be aware that most of the numbers listed below are part of “advance” pricing; Universal will likely raise the prices as the event approaches, and it even sometimes does it once Halloween Horror Nights actually begins. Just as with the Express Passes, it behooves you to purchase whatever season pass you have your undead eye on as soon as you possibly can. For the advance price of only $95.99 (4.3% increase from 2017), plus tax, you get access for every event night for the first three weeks of Halloween Horror Nights! This is, hands down and without a doubt, the single best value you’ll find in an HHN 2018 ticket. Think about it: you get admission for 12 nights, including opening night and a few weekend nights, and you’ll be going when the lines won’t be insane, and you only have to pay $96, or $19 less than what a full-price single-night ticket is at the gate. Did a light bulb just go off? If so, then you’ve realized what us insiders already know: if you can go to HHN 2018 during the first three weeks, it’s actually less expensive to buy a Rush of Fear Pass than it is to buy a Horror Nights general-admission ticket, even if you’re going for just one night! Now, do keep in mind there are other discounts available, so Rush of Fear may not be the least expensive option if you are really just going for one night, but this does illustrate the tremendous value of the HHN 2018 Rush of Fear Pass. In terms of price, this combo option is a step up from the basic Rush of Fear Pass, from $95.99 to $299.99 (0% increase from 2017), but it includes HHN Express Pass access for each of the 12 nights. Considering that a single-night HHN Express Pass for these dates may cost as much as $109.99, you see how quickly you can make up the price if you’re thinking about buying standalone Express. The point to consider here is that Express access really isn’t a necessary thing to have during the first three weeks. If you’re like us, and you visit many times and are trying to present world-class vacation-planning coverage, then you can imagine how it might be very convenient to be able to get into the haunted houses without waiting too long. If you think you’d like that convenience, too, this is a great ticket. If, on the other hand, you would rather save the two hundred bucks to spend on drinks for a few nights, you can still have plenty of fun with the basic Rush of Fear Pass – just make sure to use our HHN early admission and our HHN touring plan (which will be published at the start of the event) guide pages to maximize your time. Frequent Fear Passes are, essentially, season passes for Halloween Horror Nights. They come in a few different shapes and sizes, including different dates and some that include HHN Express Pass access, with prices ranging from $106.99 up to $419.99, so be careful that you are purchasing what you really want. What we will point out is that HHN 2018 Frequent Fear Passes are a great value for anyone who can visit in September and who wants to go more than once; for example, the basic Frequent Fear is $106.99, plus tax, per person, and it includes 23 nights of access, from the first Friday to the last. Since a single-night general admission ticket is $114.99 – well, you do the math! In 2016, due to popular demand, Universal introduced the Ultimate Frequent Fear Pass, which is valid for all 37 event nights of HHN 2018. It will set you back $203.99 (2% increase from 2017), plus tax, or $599.99 (0% increase), plus tax, for the Express variation. While this ticket price is steep, it can be a great value if you are able to attend every night (which would come out to about $17 a night). Nearly every single year at Halloween Horror Nights, Universal experiments with additional add-on experiences, some of which end up returning and becoming the newest horror mainstays and some of which end up becoming fleeting – but nonetheless intriguing – one-offs. Each of these items is an upcharge, meaning that you’ll have to pay extra for the experience, and, as such, you’ll have to carefully consider whether the expense – and the time it takes away from your touring of the event – is worth it for you and your party. With that warning out of the way, we should also point out that some of these premium items are some of the most fun a number of attendees have at HHN. It really does come down to personal preference. The Scareactor Dining Experience is $49.99, plus tax, per person (all ages), and requires you to have an HHN ticket for the same night. There is limited availability, and reservations are mandatory. To make one, call 407-224-3663 seven days a week, from 7:30 am to 10:00 pm (until 9:00 pm on Sundays), at least 24 hours before your intended seating time. Starting back in 2015, Universal extended its daytime Dining Plan – Quick Service to Horror Nights attendees. The program entitles guests to one quick-service meal, one non-alcoholic beverage, and one snack (Butterbeer is considered a snack, in case you were curious) at specially-marked food locations, with prices starting at $23.99 for adults (and $15.99 for children, though they probably wouldn’t much care for HHN). A second variation on the dining theme includes a Coca-Cola Freestyle souvenir cup, which then unlocks unlimited fountain-drink refills (although you have to wait 10 minutes between every Freestyle pour); the cost for this starts at $29.99 for adults (and $21.99 for kids). Universal says that HHN goers are welcome to use their Dining Plans during the day, as well, but just be aware that, if you do, you won’t be able to then use them at night – it’s not like the program reloads itself, since that would then essentially be Universal giving you two Dining Plans for the price of one. Speaking of which: is either Dining Plan a good deal? In all likelihood, it actually probably won’t end up saving you money, although it could act as a good planning tool if you’d like to budget your food costs in advance. 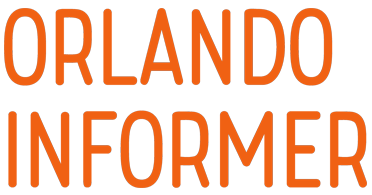 (And, at any rate, most of the exclusive Halloween Horror Nights food and drinks are excluded from the program.) We always recommend that you run the numbers for you and the rest of your party just to double-check, and then proceed with the most cost-effective course of action from there. NOTE: while The Repository won’t be returning for this year’s Halloween Horror Nights, we’re keeping the information up from 2016’s virtual-reality experience both for posterity’s sake and in case it does end up returning for future events. [You’ll] join a team of investigators [and] enter a centuries-old secret warehouse where mysterious artifacts have been collected and stored for hundreds of years. The price for The Repository was $49.99, plus tax, per person. Annual passholders had exclusive access to the tickets for a short while before they went on sale to the general public. And much like the Scareactor Dining Experience above, several reservation windows were available (this time, from 5:00 pm to 1:00 am) only on select nights throughout the event, with valid HHN admission also required. 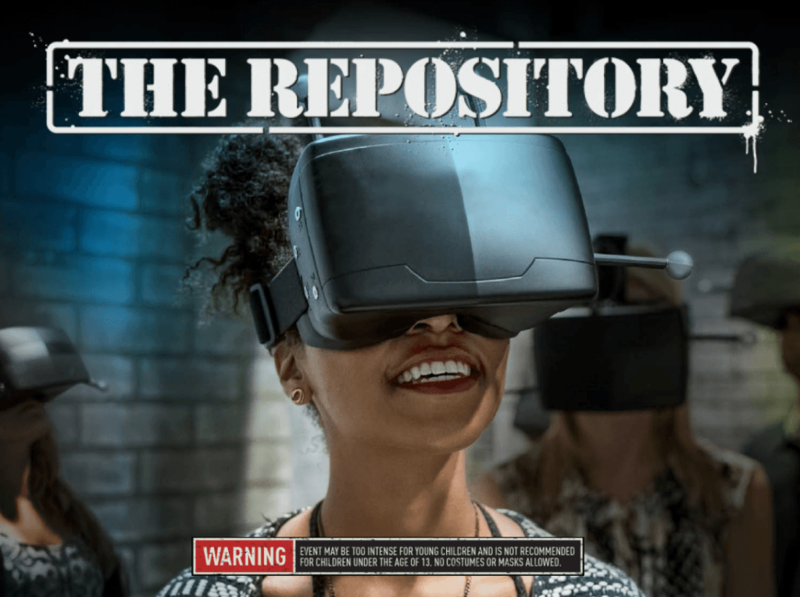 We aren’t certain why Universal never carried The Repository forward, though it could have been due to the low throughput of the VR-aided attraction – or, perhaps, it truly was an experiment that the company wished to conduct just for a short time. 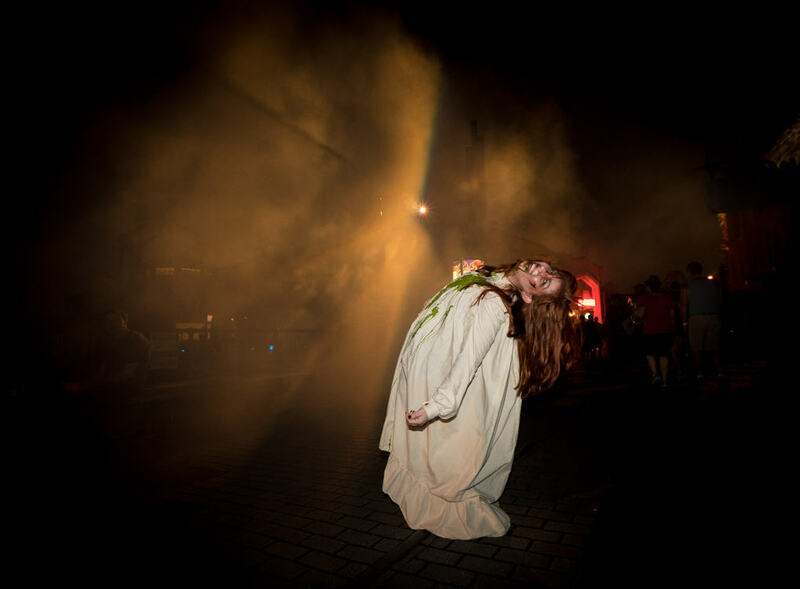 Halloween Horror Nights offers up several different tours to allow horror aficionados to get the best bang for their annual-event buck – or, even more intriguingly, to get an in-depth look at what it takes to make an HHN haunted house. RIP Tours provide you with a blood-red-carpet journey through a multitude of horrors more ghastly than you can imagine, without having to face your worst nightmare: waiting in line. All RIP Tours provide you with immediate VIP entry to the haunted houses and select regular park attractions. These now come in three varieties: private and non-private (in both half and full configurations). 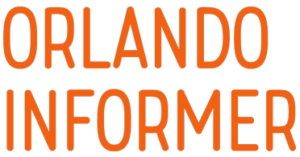 Orlando Informer recommends the RIP Tours for guests who want to experience the best of Halloween Horror Nights and who do not want to have to worry about planning. The chilling choice for the true connoisseur of carnage and chaos! You and your party of up to 11 guests will take part in a guided walking tour of a single Horror Nights event night. As the party consists of just your guests, the choice is yours as to how to spend your evening; your RIP guide can tailor the tour to the interests of your party to include not only the haunted houses and shows, but up to two regular park attractions, as well. Indulge in an evening of unbridled terror! 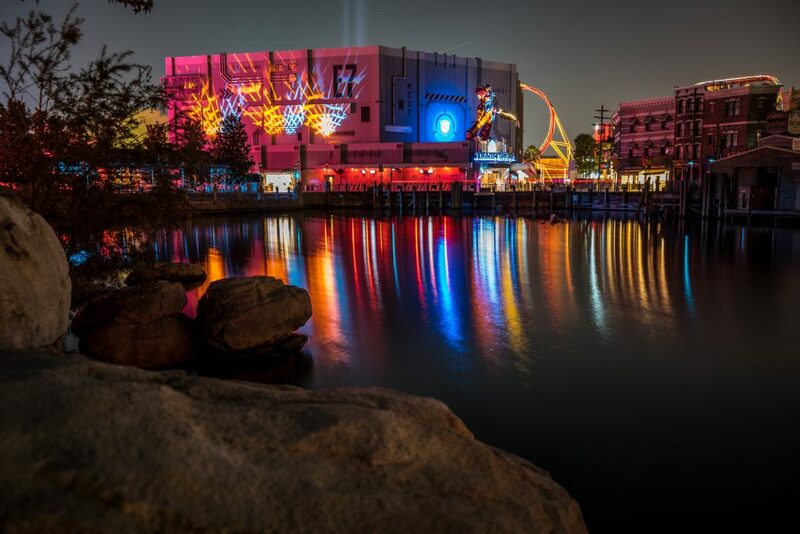 You and your party, along with other RIP Tour guests, will be combined together and take part in a structured, guided walking tour of one Halloween Horror Nights event night. During the Non-Private RIP Tour, you will experience all of the haunted houses (one time each) and have reserved seating for Academy of Villains. Non-Private RIP Tours depart nightly at 8:00 pm and last up to four hours, with combined groups consisting of no more than 12 guests per RIP guide. Prices start at $159.99 (0% increase from 2017) per person, plus tax and event admission. Non-Private-RIP-Tour guest requests to be in the same party as other Non-Private RIP Tour guests cannot be guaranteed. Non-Private RIP Tours end once all inclusions (all haunted houses and Academy of Villains show) have been met. Don’t see the benefit of doing only a two-hour RIP Tour? This could actually be a great option for those dates that see all of their Express Passes sold out, or for those late, exhausting nights where you discover just can’t bear to wait three hours in line for Stranger Things (the fact that the mini tour costs only a little bit more than standard HHN Express access certainly doesn’t hurt, either). Pierce the veil and get a lights-on, inside look at Halloween Horror Nights. You and your party, along with other Unmasking the Horror guests, will be combined together to take part in a guided, informational walking tour providing an overview of this year’s event as well as a lights-on walk-through of several haunted houses, with the opportunity to take photos in select rooms. Along the way, you’ll learn how Universal Orlando’s Art and Design team takes some of the world’s most popular movie, television, and videogame properties and turns them into immersive haunted houses, along with how they create original haunts that can only be seen at Halloween Horror Nights each year. Unmasking the Horror Tours last up to two-and-a-half hours, with combined groups consisting of no more than 15 guests, and include a commemorative RIP Tour lanyard. Also, we should note that, due to the intensely graphic nature and lights-on viewing within the haunted houses, these are not recommended for children under the age of 13. Guests can either choose a three- or six-house Behind the Screams Tour, with prices starting at either $79.99 or $129.99, respectively, per person, plus tax. You must reserve your spot in advance, with departure times starting as early as 10:30 am. 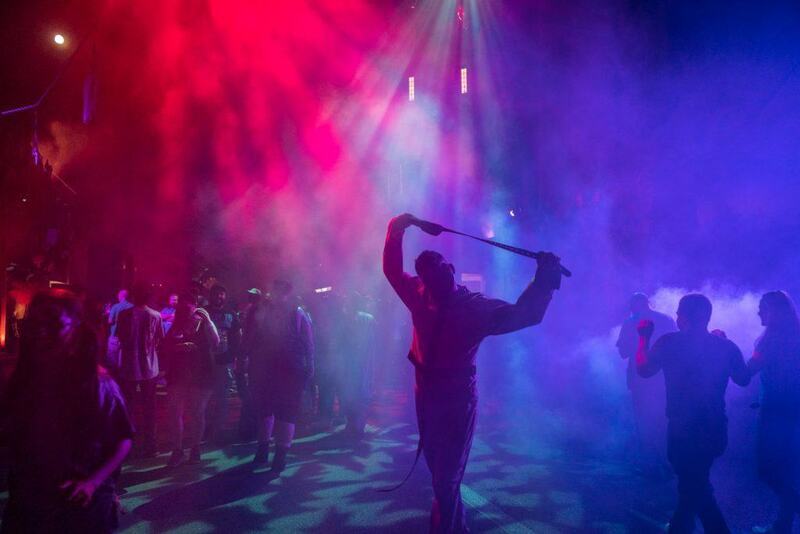 The tours are available on every single HHN event date, plus one extra: Thursday, September 27. Known as the Gory Getaway package in previous years, Universal has dropped the moniker but keeps the basic gist the same: guests are able to purchase both their Halloween Horror Nights admission and their hotel stays simultaneously. The price for this package depends, of course, on which on-site hotel you opt to stay at – for Cabana Bay Beach Resort, for example, pricing starts at $215 per adult, per night (tax inclusive), while it’s $325 per adult, per night for Portofino Bay Hotel (and if you want to stay off-site at one of Universal’s partner hotels, the starting price drops down to $125 per night). There are two different categories that all Halloween Horror Nights discounts fall under: Florida residents and annual passholders. For the first time in many, many years, Universal is not offering any Florida resident tickets (which used to be purchasable with an UPC code from specially-marked Coca-Cola products). The reason, according to the company, is simple: the savings it normally reserved just for Floridians have been opened up to everyone in the form of advance online pricing. Unsurprisingly, the Florida-resident hotel package looks suspiciously similar to the standard (read: out-of-state) bundle, but stripped down to its bare essence and made noticeably more inexpensive. The price for this package depends, of course, on which on-site hotel you opt to stay at – for Cabana Bay Beach Resort and Aventura Hotel, for example, pricing starts at $139 per adult, per night (tax inclusive), while it’s $215 per adult, per night for Portofino Bay Hotel (and if you want to stay off-site at one of Universal’s partner hotels, the starting price drops down to $125 per night). If you thought the discount options above were confusing so far, we hope you’re sitting down for this one! Annual passholders can definitely purchase discount HHN 2018 tickets, but usually the prices change dramatically depending on the specific date you’re interested in. The big deal here is that Universal really wants annual passholders to experience Halloween Horror Nights during the first few weeks, so we aren’t jamming up the lines when everyone else is paying top dollar for admission in late October. In 2016, annual-passholder discount tickets ranged from $45.99 to $76.99. For both 2017 and 2018, the spread is from $56.99 to $68.99 for the first three weeks of the event (which is a 9% increase across the board from the year before). Once you get into the fourth week, the AP discount is equal to the Florida-resident discount. If you’re an annual passholder, a small discount on the advance pricing for the various multi-day tickets is available. And we do mean small – a Rush of Fear Pass, for example, goes for $84.99 (an $11 savings), while the Ultimate Frequent Fear + Express Pass comes in at $589.99 ($10 off). APs receive another small discount (just 5% or 10%, depending on which particular pass you have) when they book their Horror Nights tours on specific nights. Universal recommends calling 866-346-9350 for information and reservations both. We’ve already spent some time answering the question of whether Express Passes will sell out, but now that we’ve also covered everything else in the world of Halloween Horror Nights ticketing, it’s worth revisiting it and spelling everything out in quite a bit more detail. LIKELY TO SELL OUT EARLY – in this category, we put HHN Express Passes for peak nights, as explained above. In addition, on-site hotel rooms will sell out early for most nights, and RIP Tours and Unmasking the Horror Tours for select dates are likely to, as well. SOMEWHAT LIKELY TO SELL OUT EARLY – here we find the Rush of Fear + Express season pass. Also, there’s a chance that the basic Rush of Fear and Frequent Fear Passes may sell out, simply because they are such an incredible value. NOT LIKELY TO SELL OUT EARLY – despite Universal’s stern warning that general admission sells out on many nights, the truth is that a specific HHN event night rarely ever sells out early (more on this in just a moment). UNKNOWN AVAILABILITY – since the Ultimate Frequent Fear Pass is still so new, its availability cannot be definitively stated. To expound on specific dates selling out early: while a handful of nights do sell out each year, in recent memory Universal has not stopped selling single-night admission tickets until that specific date’s event had already begun. Here’s another way to phrase it: if, let’s say, October 13 sells out, Universal wouldn’t actually stop selling single-night passes for October 13 until around 6:00 pm. Since the event started at 5:45 pm, technically it didn’t sell out early. The takeaway here is that, if you are just looking at purchasing Horror Nights general admission, a Florida resident ticket, and other single-night options, you really don’t have to worry about a sellout. Of course, things can change from year to year, so if you know you’re going, we’d still recommend buying single-night admission at least 48 hours in advance.